PUBDET 2019 Admit Card: The West Bengal Joint Entrance Examination Board (WBJEEB) will soon conduct the entrance exam of the Presidency University Bachelor Degree Entrance Test (PUBDET). Students those who are interested can fill the entrance exam application form. The PUBDET Admit Card will be able through the online mode only. 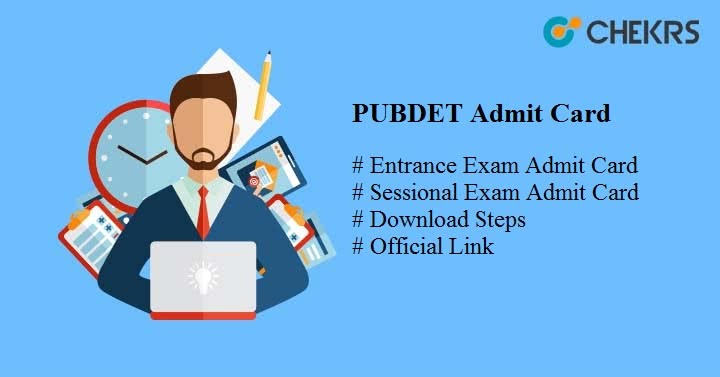 Latest Update: PUBDET entrance exam admit card available from June 4, 2019. For other events schedule check the table given below. The university will also organize the exam of the sessional courses i.e. UG (BA BSc BCom BBA B.Ed. etc) and PG (MA MSc M.Com MBA MPhil etc). We are sharing here the information regarding the WBJEE PUBDET 2019 Admit Card. We are giving here some of the important dates regarding the examination of the presidency university for the entrance and the sessional exam. The PUBDET Exam Dates given here is the expected dates we will give the original dates after it will announce by the university. After giving the brief introduction about the hall ticket of the entrance and the sessional exam of the Presidency University we are giving here some of the steps from which the candidates can download their Presidency University Admit Card 2019. The steps are given below. Fill the necessary details which are asked. We are giving here some of the details which are required to be available on the admit card of the PUBDET Exam Admit Card. If the following detail is missing contact to the examination authority of the university. The details are as follows. Keep the admit card at the proper place after the exam over because it will also use in the future. On the day of the examination, it is necessary to bring the admit card along with the ID proof which is issued by the university. Candidates who will appear late in the exam will not be permitted to give the exam. There will be strict action taken against those candidates who create any of the disturbances at the examination hall. After the completion of the exam, students are excited to know about their result. The Presidency University Exam result releases after 2-3 months the examination is over through the online mode only. For the sessional exam, the students are able to see the result on the official site only. Hope the details are given here will help the candidate to get their admit card if there is any query mention it through the comment box given below. We will provide the answer of your query as soon as possible.